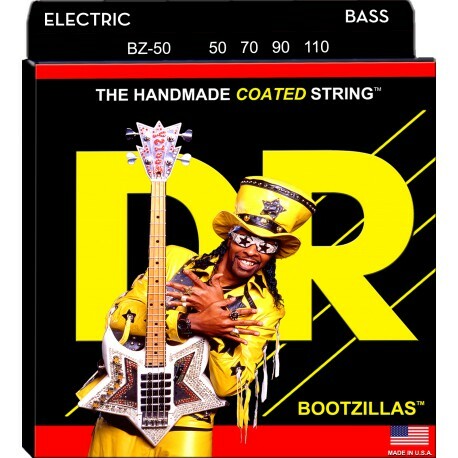 Coated Bootsy Collins Signature Series. Inner Planetary Funkmanship. Stainless Steel Bass Strings on a Hex core with superior K3 coating. The costly stainless steel wrap wire used to manufacture Bootzillas is unique. It produces a distinct crunchy tone. Bootzillas bass strings are coated for extra protection against damaging substances such as perspiration, dirt, humidity and acid hands.